in Mossel Bay, South Africa! 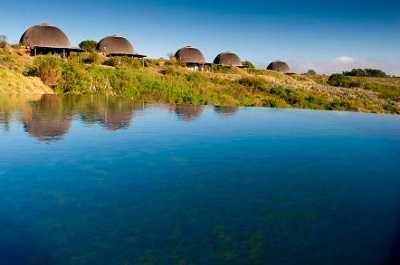 Gondwana Game Reserve offers an original nature experience in a breathtakingly beautiful setting of colorful indigenous Fynbos vegetation against the backdrop of the Outeniqua Mountains. 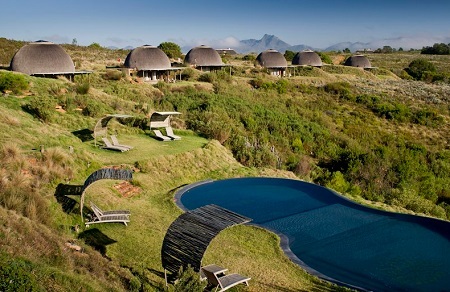 This South Africa resort is the only Big Five Fynbos reserve in the world and boasts prime year-round game viewing of elephants, lions, hippos, and the rare Cape Mountain Zebras. Its convenient location in the heart of the Garden Route allows easy access to top golf courses, charming coastal towns, and impressive coastline views. 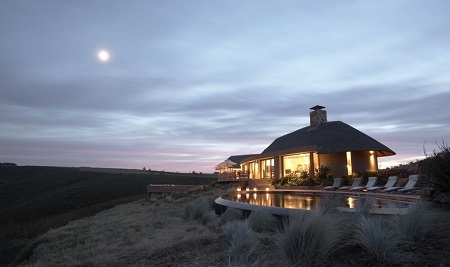 Gondwana Game Reserve’s stunning location and temperate and malaria-free climate creates an ideal South Africa destination for guests looking for an authentic safari experience. 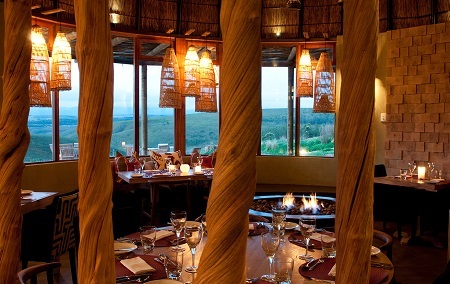 Delicious cuisine is passionately prepared by an international culinary team at Gondwana Game Reserve. The reserve offers a variety of dining experiences in the elegant lodge dining rooms, outdoor bomas, and in the reserve under the stars. For an intimate dining experience, private in-suite dining is one of the specialties, as well as romantic bush picnics and evening meals in the reserve as the sun dips behind the mountains. The cuisine is gourmet, fresh, and healthy with a touch of indulgence. 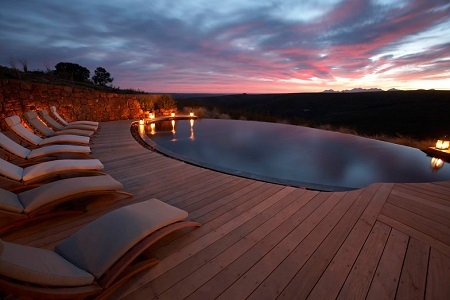 Gondwana Game Reserve is an 11,000 hectare/27,000 acre private game reserve set in the picturesque Garden Route. The national highway is 20 km away and allows easy access to Cape Town. Gondwana offers airport transfers and rental cars are available. Parking is complimentary at the lodge. 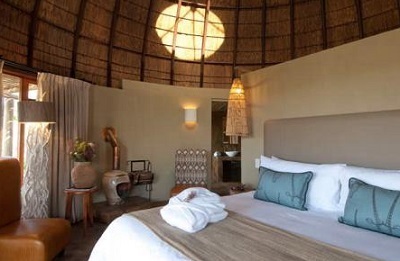 Offer is based on a Single or Double Occupancy in a Kwena Room - Option of either Twin or King Size beds available on request – Maximum 2 persons. Tax and service charges of $59.00 additional per room per night.